PRoPR is a communications consultancy company working with a plethora of clients wishing to be successful in an ever changing and dynamic environment. We strive to create the desired favourable communications environment for our clients. It is our core objective to work with clients on an individualistic approach based on our knowledge of the specific information environment, business climate, corporate goals and values. At PRoPR we build long-term relationships because we know that they bring long-lasting results. By clearly understanding our clients needs we create a tailored strategic PR programme which will assist them in developing and growing their business. Our individualistic approach guarantees that all that we do is added value and contributes to an increased brand awareness groomed reputation of our clients. PRoPR builds a trusting and productive working relationship. PRoPR strives for building long-term relationships with every single client. PRoPR takes pride in our work. Our clients benefit from our professional approach and the contacts we have built up over the years. PRoPR is partner who stand by you at all times, working tirelessly to unveil your unique features and creating unique ways in which to present you. Last but not least PRoPR knows how “to make a difference”. Our corporate motto is Your story we need to tell. 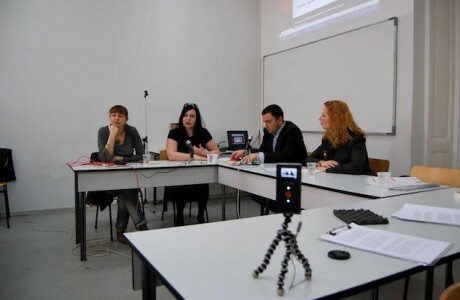 Yvette has Masters Degree in Public Speaking from the National Academy for Theatrical and Film Art Sofia, Bulgaria and Masters Degree in TV Journalism Faculty of Journalism and Mass Communications from University “ St. Kliment Ochridski” Sofia, Bulgaria. She has worked over twelve years for the Bulgarian National Television in different programmes (Breakfast TV Show “The Day Begins”, “Panorama”, Prime Time TV News, Saturday Breakfast TV Show “Good Morning”) and before creating PRoPR, as a Director Business Development of Linexa Property Ltd.
Yvette had a remarkable twelve years career at the Bulgarian National Television. Throughout her career Yvette was founder and presenter of the Breakfast TV Show “The Day Begins”. This programme is the first morning news TV Show in Bulgaria. 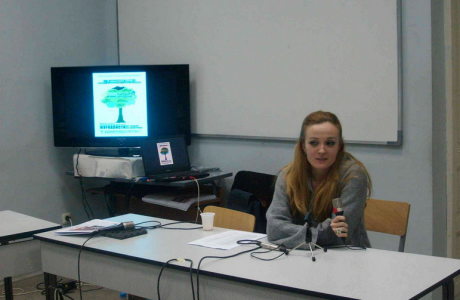 She is Founder and Spokesperson of the unique campaign the “United Media Charity Campaign”. This campaign joins all of the major electronic and printing media in Bulgaria with the objective to raise funds for the medical treatment of children, who need liver transplants abroad and the creation of a medical center for the treatment of these children in Bulgaria. 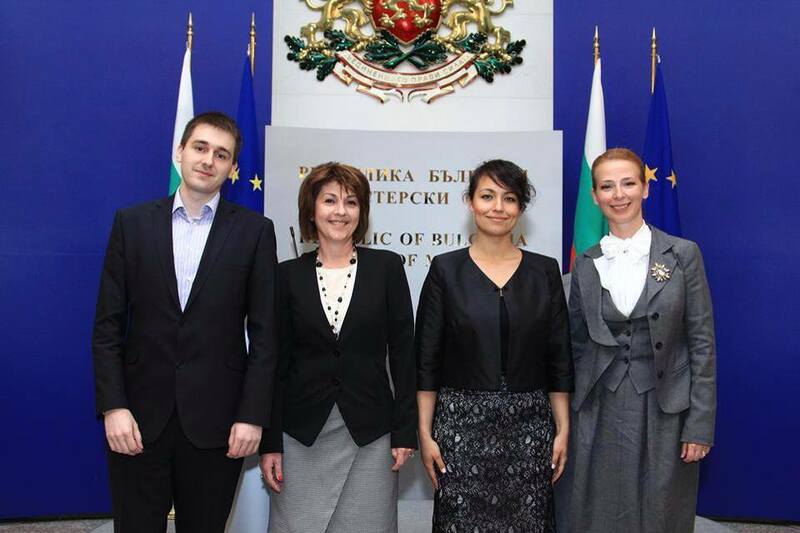 The most important driving force behind the campaign remained the Bulgarian National Television. 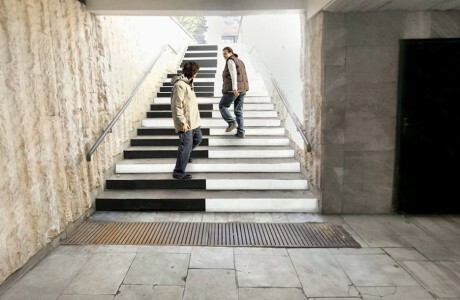 The Bulgarian National Television has won a national award for Best Socially Motivated PR Campaign with this campaign. For the entire period of the campaign, it became the saviour of 8 children’s lives, the founder of a Centre for Pre and Post Operational Treatment and raised the total of BGN 10 million. 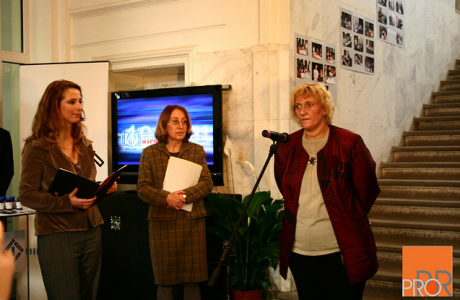 In 2004 the campaign became the reason that Bulgaria set up a special governmental Centre “Fund for Treatment of Children”, which has the intention to cover the costs for treatment of Bulgarian children abroad. 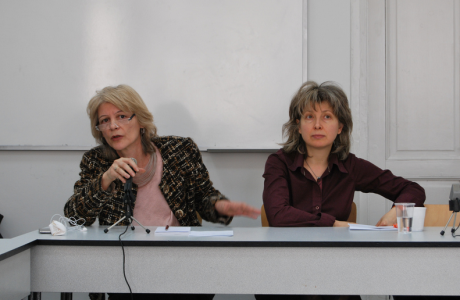 In the meantime Yvette was also an editor and special correspondent of the top political TV show in Bulgaria “Panorama” – BNT. She did interviews and cover stories on: The Macedonian crisis 2001-2002; a number of interviews covering the Euro-Atlantic case of Bulgaria including with Robin Cook (in his position as UK Foreign Minister), Colin Powell (in his position as US Secretary of State), Kofi Annan (in his position as UN Secretary General), Jose Manuel Barroso, Jorge Sampaio, Bruce Jackson, Wolfgang Schuessell, Juri Luzhkov etc. ; members of the Bulgarian Parliament and Government; a number of interviews covering finance and economic issues; covering celebrities’ visits in Bulgaria – Sting, Paco De Lucia, Deep Purple, Jean-Claude Van Damme, etc. Before that Yvette was a Criminal Correspondent in the Prime Time BNT News. She started her TV career in 1992 as Reporter of the Saturday Breakfast TV Show “Good Morning”. 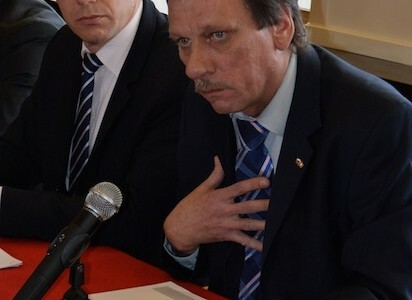 Yvette was the media counsellor and speaker of the prime minister Marin Raykov and the caretaker government – March-May 2013. 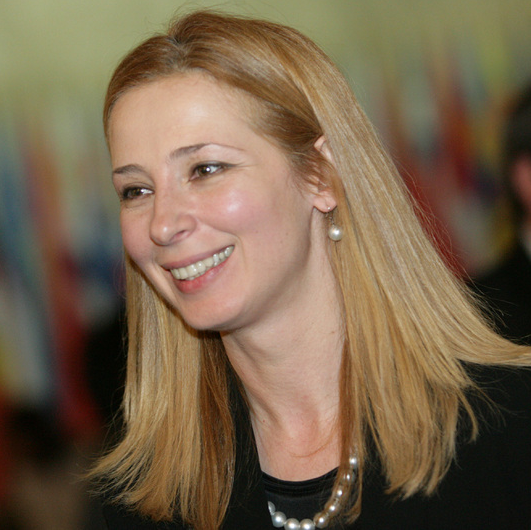 Yvette Dobromirova was part of America for Bulgaria Foundation as Director of Communications from March to November 2017. What we offer is an essence of years of experience, organizing skills, built structure and a team of motivated modern thinking professionals - all this collected in one place and in favour of one aim - yours. Media Relations is the field that PRoPR is particularly strong in. We do think as journalists. This may be inferred also from the educational and professional background of some of the key members of the team. We communicate with journalists, specialists, chief-editors from local, national, international and trade media, including leading newspapers, magazines, radio, TV and online media. We organise press events, press releases, off-the-record briefings, video, news releases, etc. Corporate PR is our main line of business. As modern people we design your corporate Public Relations strategy three-dimensionally. Our 3D model achieves the main communication goals – brand positioning, corporate reputation management and crisis management. Thanks to the social media now businesses have the opportunity to communicate faster and in a more appropriate manner with their current and potential customers and as a result – to increase their brand awareness. That’s why maintaining positive online reputation is one of the most important elements of modern marketing. For companies that want strong social media presence, faster and quality based direct communication with their customers, PRoPR provides full digital PR services and complete online reputation management. We make things happen. We provide creative ideas and organisation of all kind of events, which help in boosting the brand awareness of your business. We do carry out the whole process from A to Z. Corporate social responsibility (CSR) means that the company works for the society. Creating an image as socially responsible brand makes the company more preferable for customers, employees and counterparties. Each CSR campaign should be developed and planned well, so that the whole potential of the activity is used – not only for the society but for the company too. Building company reputation as a good, loyal and responsible employer is a factor when the organization aim is to attract the best employees to achieve successful growth. The process of employer branding goes through active internal communication and ends with efficient transmission of successful results to external audiences. Effective communication in the organisation is the base on which a successful company is built. We help business to create understanding and trust among the employees towards the processes in the company. Well planned and managed communication activities help for easier achievement of the goals. The best Crisis management is to avoid crisis. We develop programmes for early warning and help our clients in preparing for such situations so that the impact on the business is limited and reputational risk is mitigated. But in a crisis situation we are ready to develop a special plan for reaction and implement it on a best possible way. Focusing on your business needs we assist in the communication with other business entities (partners, competitors, clients etc.). We achieve that by creating, planning and implementing business-to-business campaigns. Part of these B2B are: organizing business events, business morning meetings, exhibitions, trade events, newsletters, etc. Communication field is as dynamic as the speed of technology development. It requires each professional to be well prepared and familiar with the latest trends. The main skills for communication with media are obligatory for every business representative if he wants to develop his company. PRoPR has a program of trainings concerning work with media and social media management, including the biggest professional network in the world LinkedIn. We consider a wide range of personal and business contacts as the most valuable asset of PRoPR. Networking is a service which we offer to selected partners that we feel have passed our litmus test for sound credibility, reputation, business ethics and sound corporate governance. Over a long period of time, the partners of PRoPR have built a strong relationship to most of the key decision-making individuals on a business, as well as government level. The individuals and institutions who participate actively in the running of the country and shaping its future are at the disposal of our clients through the network that PRoPR and its founders have nurtured over numerous years. From this could benefit and we only offer this service to our proven long term exclusive clients. PRoPR offers consulting services with reference to design, preparation and printing different promotional materials and web content, needed for the performance of long-term communication strategy and specific assignments. This includes posters, brochures, banners, flyers, advertising boxes/pages, business cards, web pages, etc. We are able to offer the creation of these materials as we hire subcontractor on your behalf and we manage the whole process. We communicate with local communities, elected representatives and NGO’s and help in organising presentations, letters, meetings, exhibitions, sports activities and other similar initiatives that position your company and your business favourably within the community you operate in. We monitor political, social economic and technological environment and provide analysis on current affairs and issues. 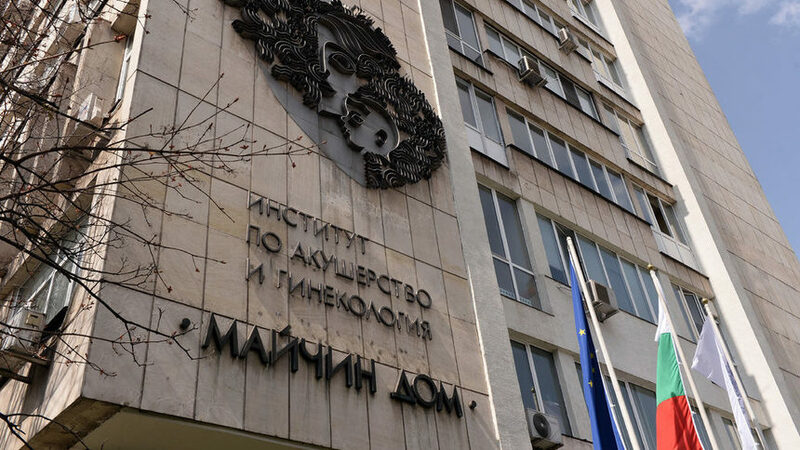 University Obstetrics and Gynecology Hospital “Maichin Dom” (Mother’s Home) is the biggest and oldest specialised gynecology hospital in Bulgaria. Brought into existence 115 years ago, it is still a symbol of female and child healthcare. The best specialists work in “Maichin Dom” and for this reason some of the most serious cases in this field are treated there. The hospital has all the essential clinics, which allow treatment and monitoring of the health status of patients at each stage of their life. PRoPR takes care of all the public communications for “Maichin Dom” from September 2017. The work of the Agency mainly involves media communications, crisis communications, digital marketing, internal communications and relationships with partners. For the media relations, maybe one of the most important part of the Agency’s services, our team relies on creating and maintaining of close relations with the sectoral journalists, which guarantees positive news appearances and cooperation with the media outlets in crisis situations. Thanks to the good connections with the journalists PRoPR manages to organise the participation of “Maichin dom”’s experts, in the specialised media and in TV shows. The services of PRoPR includes also organising of different events for the hospital. In the first months of our work with “Maichin dom”, PRoPR took part in the organization of the official opening of the fully renovated Postnatal Sector’ in the hospital, which was attended by the healthcare minister, Mr. Kiril Ananiev. During the event dozens of journalists were present, and the news was also featured in the central news programmes of the TVs with national coverage. PRoPR organised also the visit of the Director General of the World Health Organisation Dr. Tedros Ghebreyesus, who was accompanied by group of delegates in “Maichin dom”. Our team prepared a comprehensive plan and timetable for the visit to facilitate both the delegates and representatives of the Ministry of Healthcare and the hospital team. PRoPR actively maintains the Internet site and all the social networking profiles of the hospital. 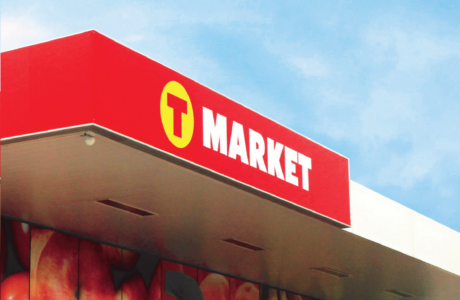 From the summer of 2017 PRoPR Agency has been providing PR service to one of the leading supermarket chains in this country – T MARKET. 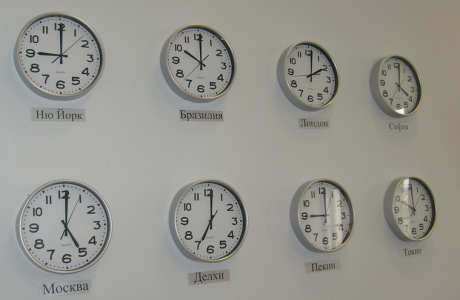 The company has nearly 70 outlets all over Bulgaria. 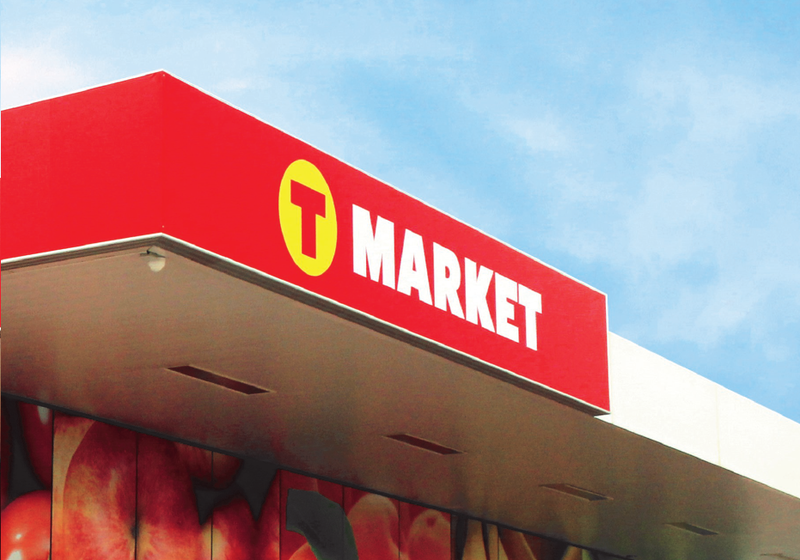 Every day, more than 75,000 customers are served in these stores. The company is part of the MAXIMA GRUPE holding, which is the leader in the trade in FMCG goods in 5 countries in Europe. PRoPR’s work mainly involves media relations: preparing and distributing press releases, communication with journalists, communication and social events, negotiating interviews and partnerships. 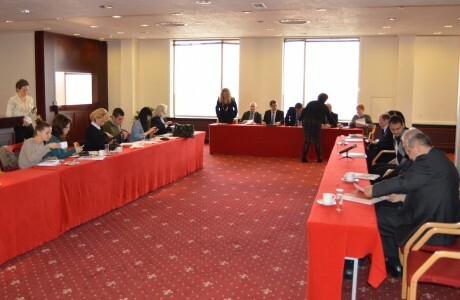 The agency also participates in the creation of the CSR policy of the company. Our team communicates with bloggers and opinion leaders and prepares materials for the company’s website and social networks. 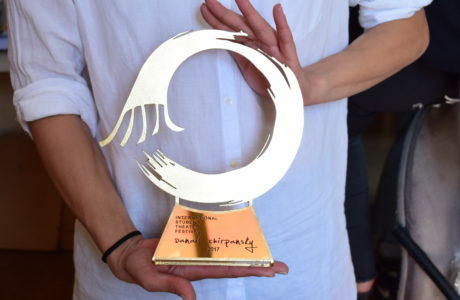 International Student Theater Festival “Danail Chirpansky” is the first event in Bulgaria made only for student performances of theater academies from Europe and the world. The festival is dedicated to the beloved friend and talented young actor Danail Chirpansky, who passed away in 2016. 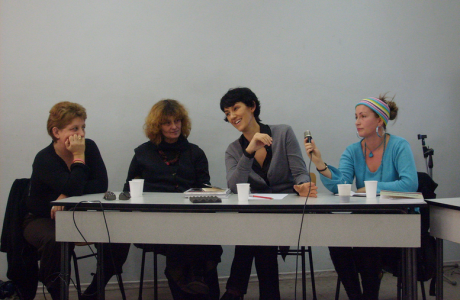 The team of ISTF received funding from International Fund for the Promotion of Culture, UNESCO. The festival is one of the eight other projects out of 814 candidates awarded with funding worldwide. 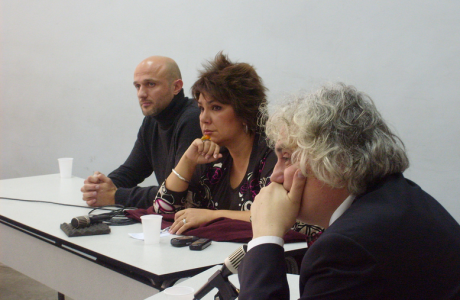 Jury of the first edition of the festival were world famous artists: the director Kama Ginkas, the dramatist Deyan Dukovsky and Maya Pramatarova, who is translator, director and dramatist. The first edition of the festival was in Stara Zagora from 1st to 7th of October. 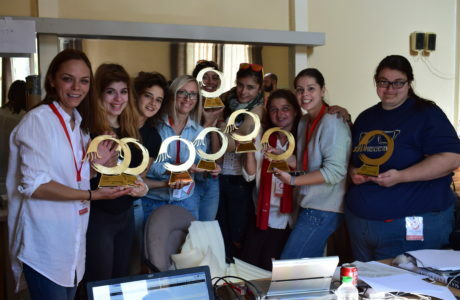 The city became a host of 7 academies from Russia, England, Spain, Georgia, Greece and Bulgaria, which presented performances, participated in the workshops and the accompanying events. 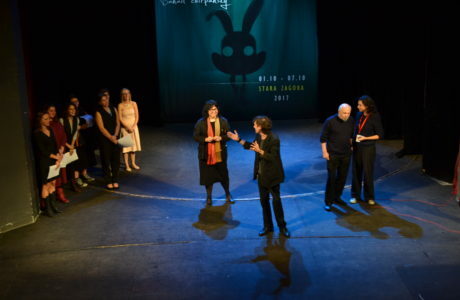 As a result, the festival’s main purpose was achieved – to create a community of young actors from different theater schools, who could continue their cooperation and joint projects. A part of the agency’s team is at the root of the festival, as PRoPR took care of communication with the media, digital marketing and promotion of the festival, and consultations and solutions for the vision of the festival’s advertising materials. ISTF “Danail Chirpansky” had 9 media partners and over 100 publications in national and local digital and print media. During the prior communication a special activity in social media was made, in which famous Bulgarian artists (actors, singers, musicians, ect.) made selfie videos, inviting their followers to join the festival. 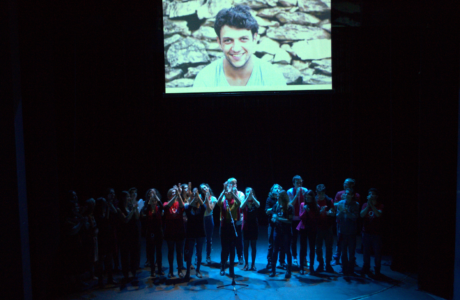 The challenge for the communication team was to attract audiences for the performances which were in foreign language with English subtitles. 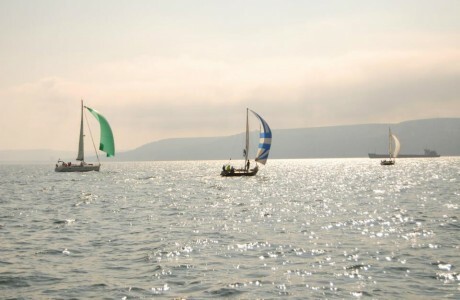 The team relied on lots of connections with the local media and social networks. As a result, over 4000 people attended the performances during the festival. 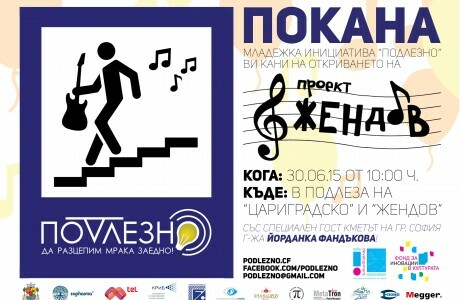 The festival was supported by the Ministry of Culture, Drama Theatre “Geo Milev” and the Municipality of Stara Zagora. The State Opera Stara Zagora, the United Bulgarian Bank, Sopharma, Orange Center Bookstores, American Foundation for Bulgaria, Zagorka, Bulgarian Cultural and Heritage Center of Seattle, Pirin Spring Mineral Water, Premier Studio and Devil Cinema also supported the event. PRoPR undertook the overall communication strategy of American University in Bulgaria. 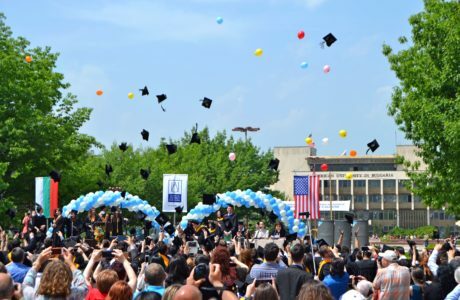 For the purposes of our partnership we created an annual concept, which includes media relations, special events, communication with potential students and their parents and the internal communication between the University’s staff and the students. Major asset in the communication strategy is the online positioning in different channels, given the specific targeting of young people. PRoPR was fully responsible for all the relations with the national media. In result of that there were hundreds of publications in leading media for the various initiatives and events of the university during the year. 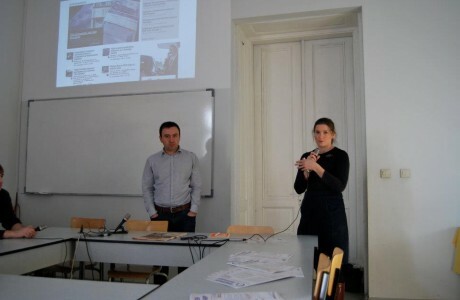 Part of PRoPR’s work for AUBG includes the creation of a strategy and the implementation of crisis communication for different cases connected to the project. 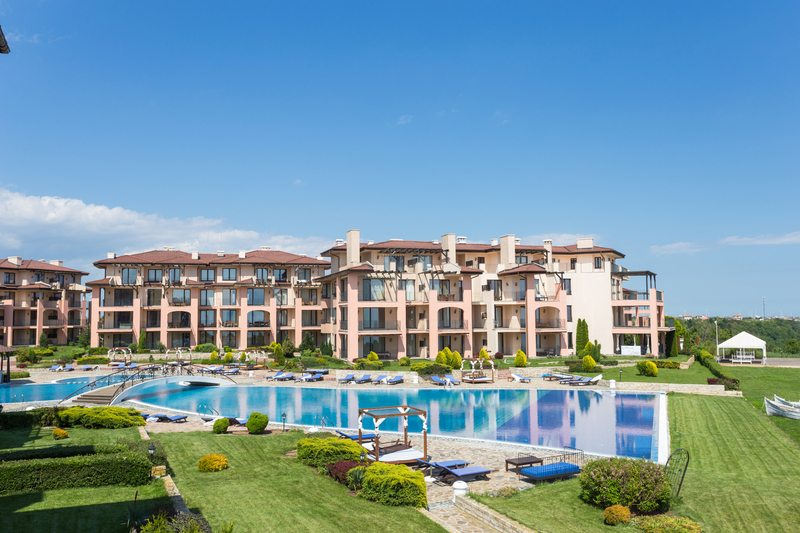 Kaliakria Resort is one of the most impressive resorts of the Northern Black Sea coast. It was built in 2007. Since then, PRoPR has been working on the preservation of the public image of the resort and on its increasing recognition. 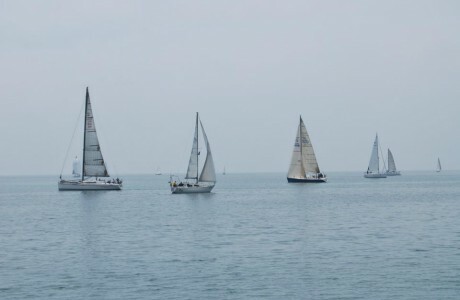 This led to a growing number of sales of apartments and a ever larger number of guests during the season. PRoPR has taken care of the media relations for the resort and over the years has organized many media tours for key journalists and bloggers visiting the resort. The agency prepares all the texts for the media and for the resort’s own channels of communication, as well as the promotional messages. Тhe communication activities of the El Balcon Del Mundo restaurant are also part of the PRoPR’s work. 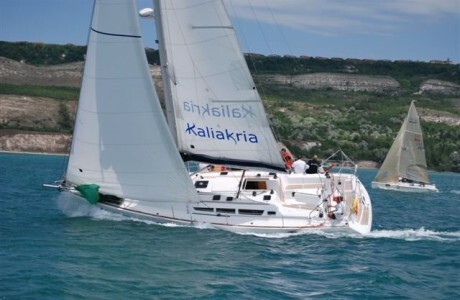 The agency manages Kaliakria Resort social networks, with nearly 14,000 followers on Facebook and a huge number of fans interactions acquired without any additional advertising campaigns. The Bulgarian Network of the UN Global Compact organized for the second time “Children’s Bazaar of Professions”. 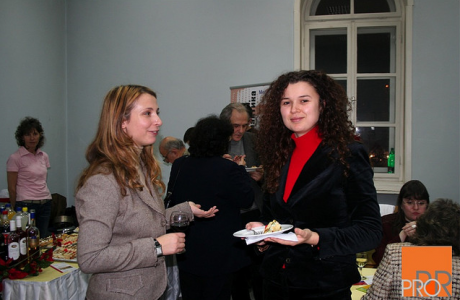 The event was part of the project “Proud of my Parents’ Work”. PRoPR Agency was occupied with media relations, including contracting and coordination of media partnership. “Children’s Bazaar of Professions” was held on 25 and 26 November in National Palace of Culture. During these two days 40 professionals from different fields met with the children. They represented their professions to the kids by lectures, practical corners, demonstrations, 3D printer, mock-ups, books and other intriguing installations. PRoPR realised and distributed 3 press releases and an invitation for media. 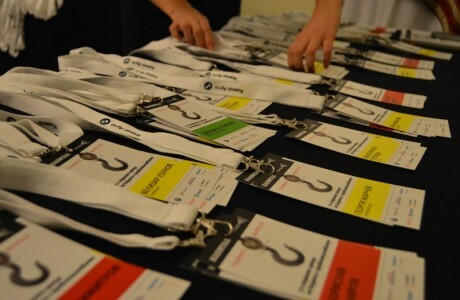 The agency’s team coordinated the participation of the organizers in media. As a result, the total amount of publications amounts nearly 80 news and interviews. During the two days “Children’s Bazaar of Professions” was visited by hundreds of children and parents. 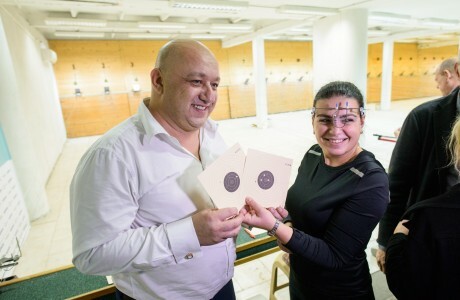 Pharmaceutical company “Sopharma” organized sport shooting tournament in partnership with shooting club “Levski-Sopharma” for second year. 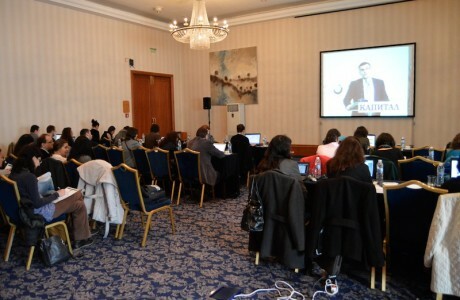 PRoPR was occupied with media relations and the whole communication of the tournament. 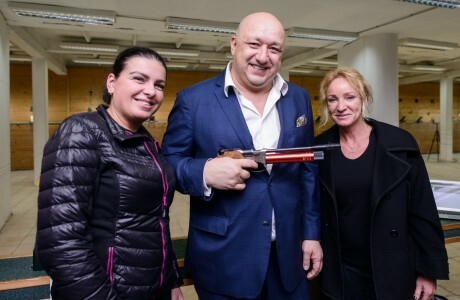 A competition for media “Non-Smoking barrels” was held too with the support of Tabex. 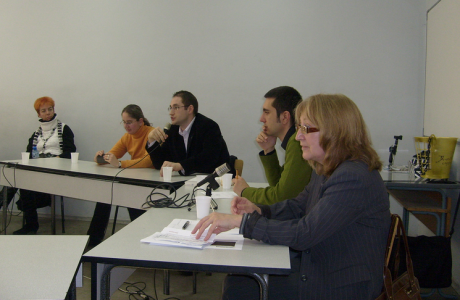 18 representatives from leading Bulgarian media took part in it. The event was covered by over 40 publications. In 2016 both tournaments were held again and their development is already a fact. This year in the competition “Non-Smoking barrels” participated 30 journalists and the Minister of Youth and Sport Krasen Kralev. All competitors in the tournament for media contributed to achieving communication purposes – the competition and its cause were popularized among competitors, sports journalists and the whole society. 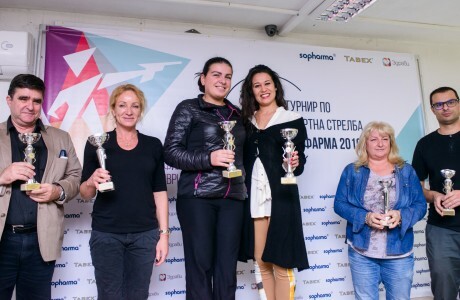 The finalists had the opportunity to stand next to the famous Bulgarian shooters Maria Grozdeva and Antoaneta Boneva. 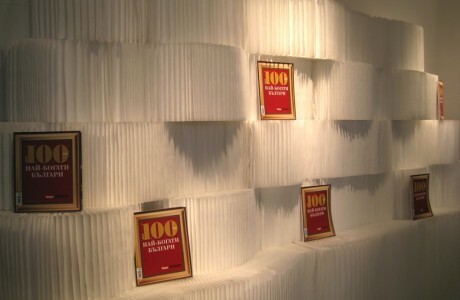 The amount of media publications for the tournament also reached more that 50 materials. Visual communication of the tournament during these two years was compliant with the stylistics of the biggest global sports events – world championships and Olympic games. 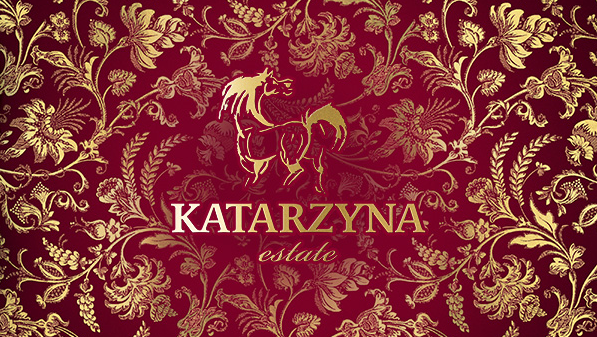 For the purpose the precision of stylized figure and “flat” design were used. That’s how a better atmosphere for conducting the event was created. 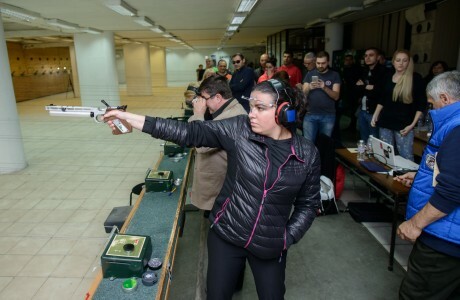 With the arrival of journalists a strong contrast was achieved, compared to the bad conditions of Bulgarian shooting complexes. The challenge for PRoPR Agency was the presence of a brand in the name of the whole tournament – frequently encountered obstacle while covering events without any additional investments for advertising or paid publications. 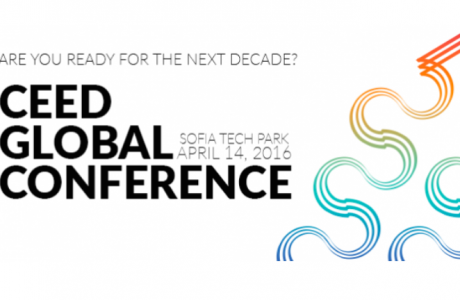 PRoPR Agency was a partner of the 10th Global Conference that CEED held in Sofia, Bulgaria on April 14, 2016 in Sofia Tech Park under the slogan “Are you ready for the next decade?”. 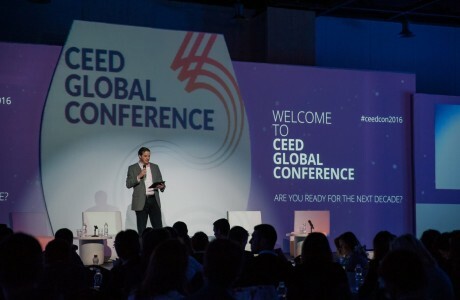 CEED Global Conference was organized by CEED Bulgaria, part of the global network of CEED. 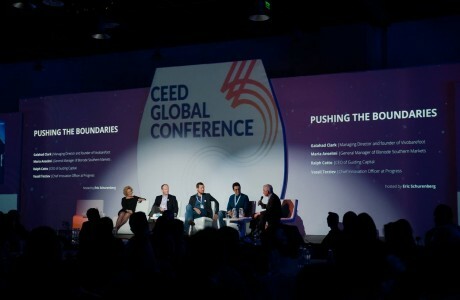 The conference brought together over 350 practitioners from 14 different countries to discuss the latest trends in business development, entrepreneurship, technology, startup and investment opportunities. The event aimed to unify the whole Bulgarian entrepreneurial ecosystem and promote cooperation and coordination between all organizations working in this field. PRoPR Agency was responsible for the communication with media representatives and bloggers, creating online reputation on social networks, maintaining a blog and an overall concept and production of visual elements for the event and promotional materials. 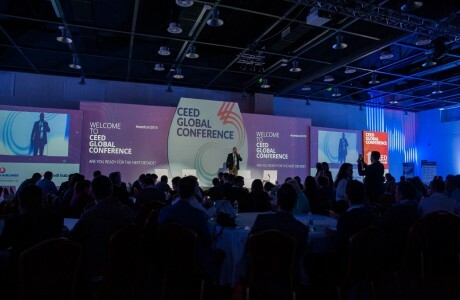 As a result, the conference had 12 media partners among the leading business media in the country, over 20 original publications and 11 interviews with speakers before and after the conference in traditional and online media with national audience. By creating an event in the social network Facebook, PRoPR Agency reached more than 33000 people for one month without any advertising cost. 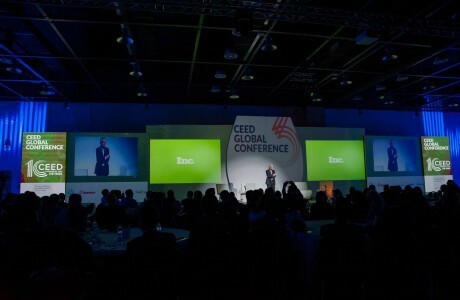 The Twitter coverage of the conference reached nearly 158,000 people in 15 days. 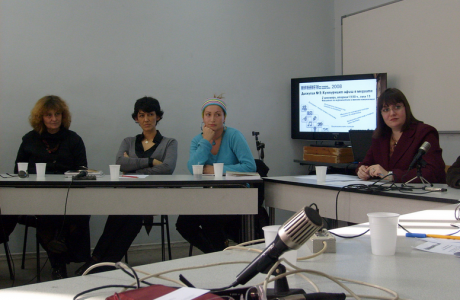 The event was broadcasted live online. 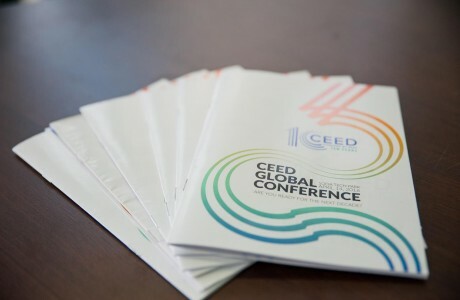 You could find more about the event on ceedglobalconference.com и facebook.com/CEED.bg. TechnoLogica – one of the biggest IT companies in Bulgaria, appointed PRoPR Agency for the communication event presenting the new partnership between the Bulgarian company and Dassault Systèmes (3DS). The event had the motto “Reality is 3D” and was oriented towards media representatives and special guests. 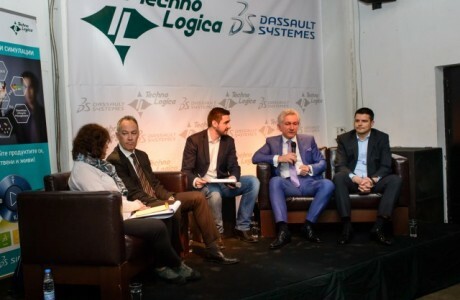 The theme represented the main message of 3DS whose official representative for Bulgaria is TechnoLogica. Each element of the event was “three-dimensional” and enabled active participation from the guests in interactive sessions. The work of PRoPR Agency was to develop a concept for the event, built around the idea that reality is always 3D and new technologies help life and business today. The agency was responsible for the overall organization, active communication with representatives of technology and business media (before, during and after the event), preparation of texts for the event and others. Preparatory activities for the event followed the previously established concept – the hall was divided into different spaces that created a true 3D experience for the participants. PRoPR Agency was responsible for establishing and managing YouTube channel for TechnoLogica. PRoPR Agency together with the Bulgarian Association of Urology executed a National campaign for men’s health “Visit your Doctor”. The initiative focused on the medical condition Benign Prostatic Hyperplasia (BPH) and was aimed at explaining the benefits of its timely diagnosis and treatment, and the risks of neglecting it. 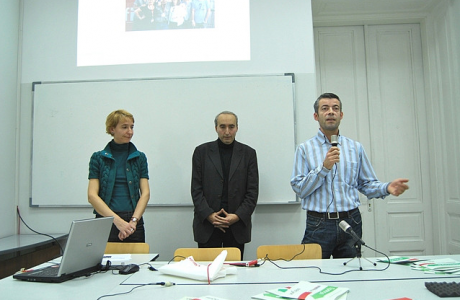 After the first very successful series of meetings in 2012 and 2013, when were conducted more than 100 educational lectures by urologists and GPs to citizens in different settlements in Bulgaria, in 2015 the initiative was held for the second time with 80 meetings planned. The aim of “Visit your Doctor” was to encourage men over 50 years-old to pay attention to the symptoms caused by enlargement of the prostate, and regularly to visit their GP or specialist urologist for professional help, rather than trying to treat themselves. PRoPR was in charge of the complete process of campaign organisation and meetings’ coordination, and for the communication with national and regional media outlets spreading information about each of the events. “Tabex® is the most efficient device for smoking cessation”, confirmed in 2014 an independent trial in New Zealand that examined the efficiency of cytisine. This study inspired Sopharma to create the free mobile app Ex Smoker as a personal quitting companion. Building awareness about such application required active online communication, which was the work of PRoPR agency within the one-year campaign. The main messages were targeted at smokers and their relatives from around the country, including children and teenagers. Our target group were also health, lifestyle and tech journalists in online media and bloggers who have gained trust among the identified target audience. We created a blog for the brand, where we curated the most important information for the product and the application. We told personal stories of people who quit smoking; we published statistics rates for the smoking habit; we had many materials with tips for dealing with nicotine cravings and others. On Tabex®’s Facebook page we communicated clearly and purposefully all the campaign messages in order to be maximally useful on people’s path to healthy living. 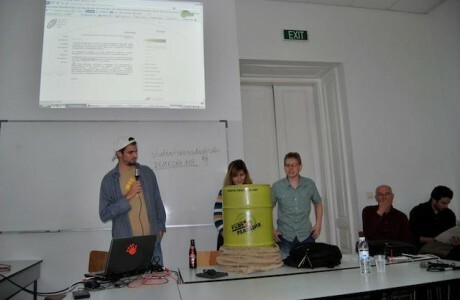 We organized a few games for the end users, aiming to increase followers and to present in an interesting and funny way the information about the application and the product. At Facebook and Twitter, we required the use of hashtag #ExSmoker. 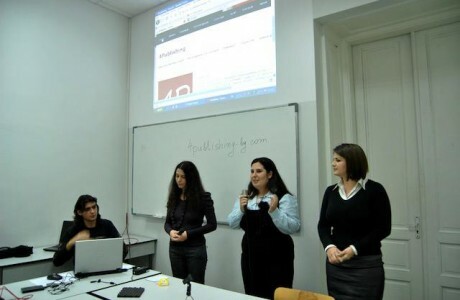 The first step for communicating with bloggers and journalists was to present the application Ex Smoker on the special event called ”Smoke-free evening”. It happened before the official launch of the app. We gave exclusive access to Ex Smoker to the guests. That way we involved them in the final step, and we gave them opportunities to make suggestions for improvements. The main KPI of the campaign was the total number of app downloads – over 2100 until December 31st, 2015 in total for iOS and Android devices. Another very important factor for the success was that the total reach of the publications on Facebook had increased by over 300%, without the use of paid advertising. 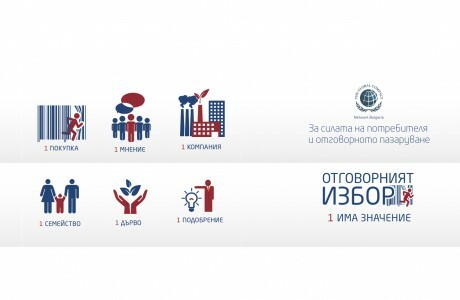 For this campaign PRoPR Agency was awarded the PR Prize in the category Online project, given by BPRA. Smart and easy tool, that helps us to learn technologies fast and convenient. 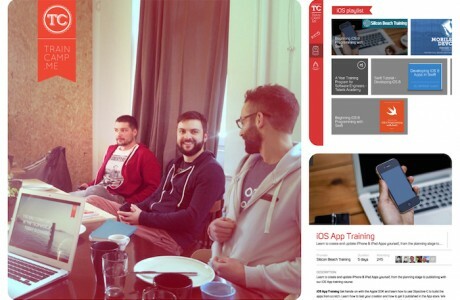 This is the concept, behind which four youths from Sofia unite at the end of 2014 to create traincamp.me. The edtech project targets designers, software developers, startup entrepreneurs and digital marketing experts, who start or want to develop their knowledge in their professional field, as well as anyone with an interest in self-learning in these fields. 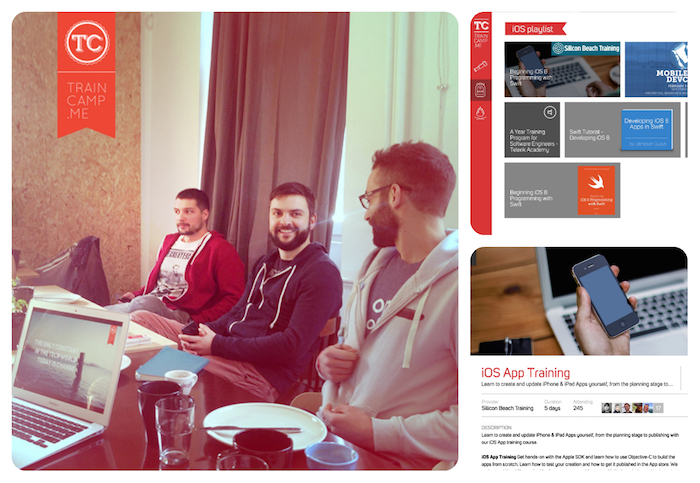 In July 2015 Traincamp.me joined Europe’s largest educational accelerator – Emerge Education. 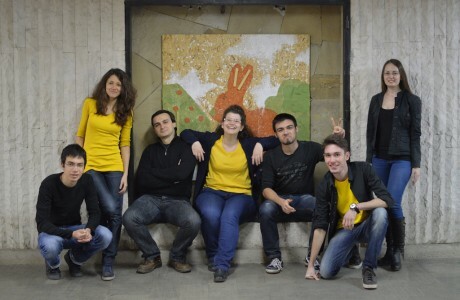 The Bulgarian startup was chosen to take part in the fourth season of 90-day program with 5 other teams from over 200 project applications from all over the world. For a stronger popularization of Traincamp, PRoPR prepared a communication strategy of several stages focused on multiple target audiences. 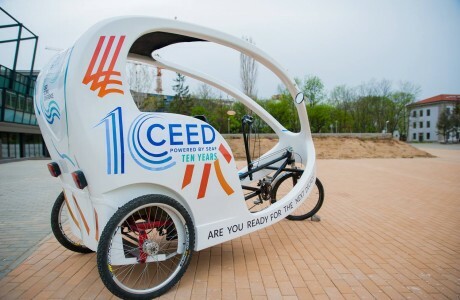 The agency’s work also included initial and subsequent communication with the media outlets, an active online presence for the startup through blog publications and Facebook, Twitter and LinkedIn communication, work on optimizing the participation of the team in various events. 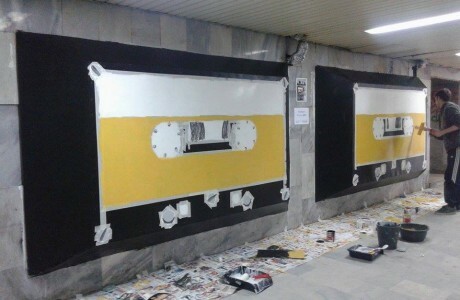 The first musical underpass between Sofia’s “Tsarigradsko Shosse” boulevard and “Al. Zhendov ” street opened on June 30, 2015. 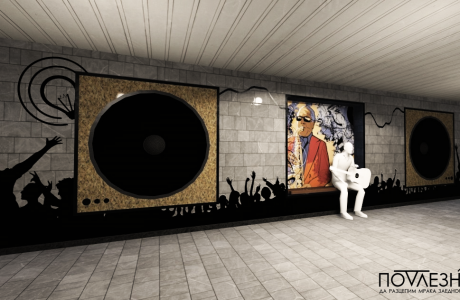 The project was created and executed by the youth initiative POdLEZNO and aimed to make the urban environment more comfortable and more beautiful for everyone. 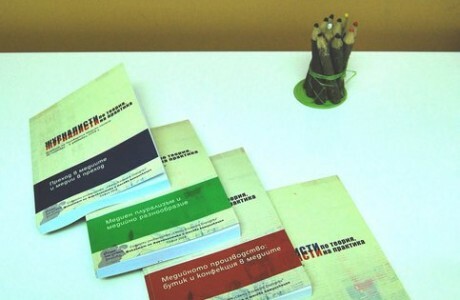 PRoPR Agency was a partner of the project ZHENdoV and helped widen the media coverage of the colorful initiative. 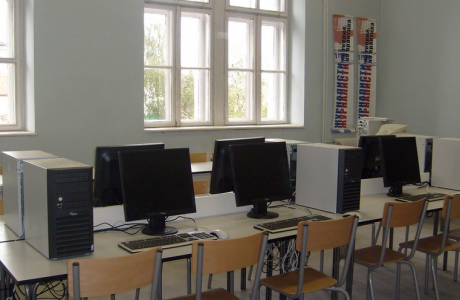 As a result, more than 70 articles were published in the local and national print and electronic media as well as reports on POdLEZNO in national televisions. The companies have an important role in solving major social problems, even if they are not always aware of it. Opaque practices to protect consumer rights, unethical marketing, increasing consumerism, uninformed and unaware consumer choice of goods and trademarks – these are some of the challenges that several Bulgarian companies within the Bulgarian network of the UN Global Compact “The Responsible Choice” initiative undertook solving. The start of the campaign was given on April 3, 2015. The Director of The UN Global Compact (UNGC) Georg Kell attended ceremony in person. 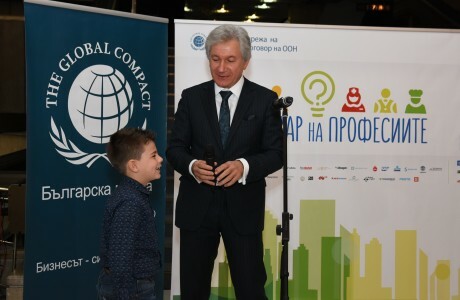 Earlier in the day Kell and The President of the National Council of the Bulgarian network of the UNGC Sasho Donchev signed a Memorandum of Understanding between the Global Compact and Bulgarian network. As an expert PR partner of the initiative “The Responsible Choice”, PRoPR was assinged the communication with the media for the announcing press conference and the visit of Georg Kell. Besides the news about the campaign, PRoPR arranged individual interviews with the director of the Global Compact in leading Bulgarian media. Client of the Agency since its establishment, VIP Security is the biggest security services company in Bulgaria. The company successfully positioned itself as a leader in its sector due to its partnership with PRoPR. The Agency had a key role for choosing VIP Security as the acquirer of “Optima financial services”, cash management company, a subsidiary of the biggest bank in Bulgaria UniCredit Bulbank. This is the largest acquisition in the Security sector in Bulgaria. PRoPR consulted the entire preparation of the documentation for the competition concerning all PR and communication activities of the postaquisition process – the main task of the final round of the tender procedure and the entire appearance of the documentation. During the second year of our work, VIP Security was chosen as Super Brand of the year. 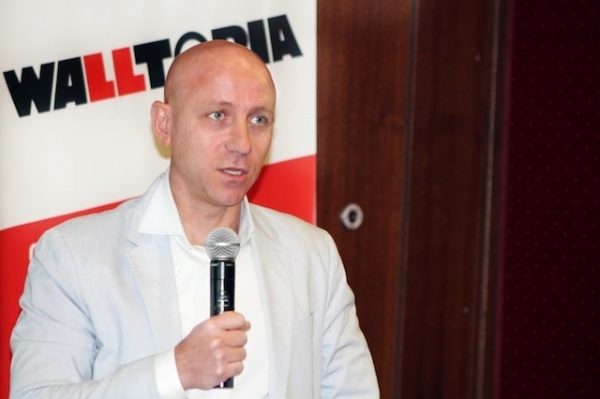 The company and its General Manager have constant presence in Bulgarian media, they are known as reliable source of information for security sphere questions. We completed the entire rebranding of the company in relation with the 10th anniversary of its founding. 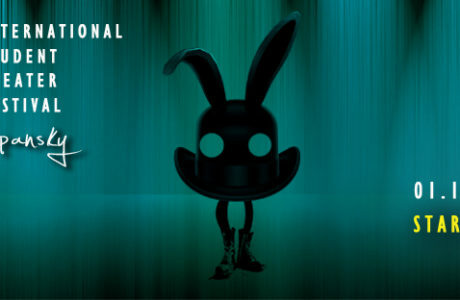 As a first step of the official presentation of the “new face” of the company, the new logo had its premiere during Madonna’s concert in Bulgaria. As a leader in the sector of mass event security, VIP Security was engaged with the security measures of this event. Special banners with the new logo of the company were shelved on all security equipment around the stadium where the concert took place. This provoked the marketing manager of the world pop star to comment that VIP Security was better positioned on the venue than the sponsors of the event. The premiere amongst the business society was on The Government Meets Business Event, the most respected business event of the year, organised by Capital Weekly and CEIBG where VIP Security were one of the partners. Our cooperation started with the ambitious task to impose the image of VIP Security as the “different” security company. This was an enormous challenge more than 5 years ago in the times where the security services business was associated only with dodgy people, criminals, and/or ex-policemen and ex-military personnel. The images for this segment in the minds of the people were black T-shirts, muscular backs, massive necks and short haircuts. 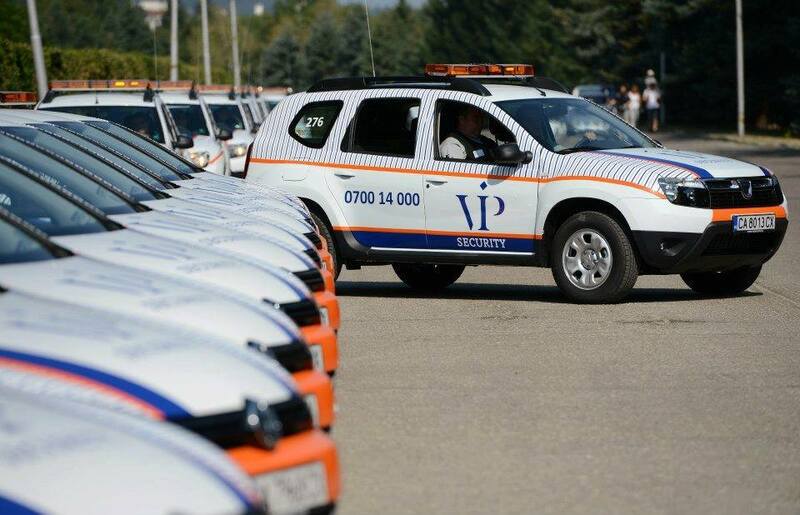 Today VIP Security is already the biggest Bulgarian Security Services Company. It can be distinguished as the “different” in the industry. It is undisputed leader in the security of cash and valuables in transit. It is also the undisputed leader in the field of the security services for mass events and the manned security. Almost all big banks and retail companies are now clients of the company. For 6 years PRoPR Agency was an exclusive PR partner of all events organized by Economedia, publisher of the business weekly Capital and Dnevnik.bg. The events are a platform for successful communication between businesses, institutions and foreign investors and offer the opportunity to exchange ideas, strategic expertise, innovative solutions and for creating a wide range of contacts for representatives of various business industries. 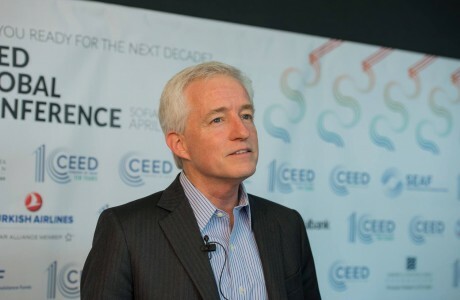 PRoPR assisted the Economedia team with media relations around the events – from planning, sending initial information about the event and the speakers, to assisting the journalists on site during the event. 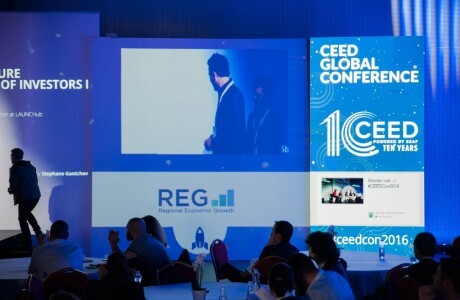 Among the most important events in which PRoPR partnered Economedia were the traditional annual meetings “Business and Government”, the conference “Mergers, acquisitions and equity investments in Bulgaria and the region” and one of the biggest events in the region for digital marketing and entrepreneurship – DigitalK. Within the partnership of PRoPR with department “Events” of Economedia the agency also participated in strategic planning and preparation of events with ideas and know-how. 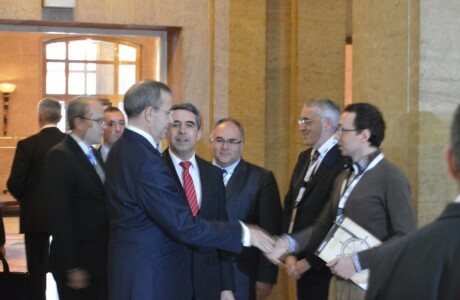 The agency also assisted in the managing of communication channels of the events on social networks. 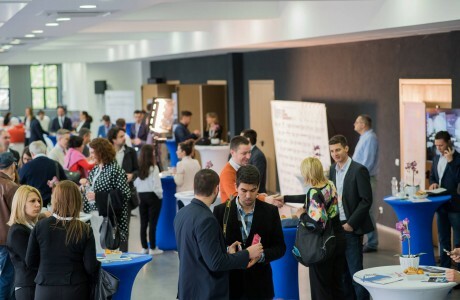 METRO Community Stars 2014, carried out in April-July 2014, was oriented towards the independent entrepreneurs or owners of small or medium business in Bulgaria with socially responsible projects. Chain wholesale METRO Cash & Carry Bulgaria distinguished the “star” of small and medium business in the country and awarded it with the grand prize of 20,000 BGN. The efforts, energy and enthusiasm that independent entrepreneurs invest in their daily work, are what inspired METRO to be their partner and to work to support them. PRoPR Agency supported these ideas of the global brand and therefore adopted the implementation of the campaign and its cause. The most important stories were the stories of participants, which in turn is our main passion. The Agency was responsible for the visibility of the campaign on national and local level – increasing the number of participants and choosing the most individual approach for communication for each of the regions. Part of the work of PRoPR was budgeting and planning publications in regional and national media and consulting positioning campaign in social media. Multi-functional office building and gathering place for the most active and innovative people in Sofia with total size of 8000 sq. meters and more than 15 mln. leva as an investment. This is a good way to describe in one sentence the idea about the Collider Activity Center, which is currently being build after a big international architecture competition. In 2013 PRoPR Agency was appointed by Walltopia, the global leader in the innovation and manufacture of climbing walls, to organise an event and to present the competition before the media. 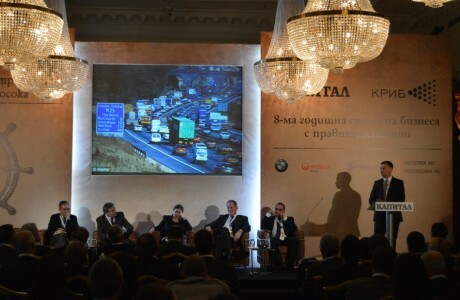 The business breakfast took place at Grand Hotel Sofia, and the news was quoted by the leading economic and architecture media in Bulgaria. 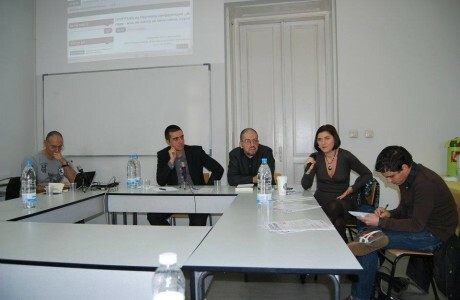 “Journalists in theory, journalists in practice” is the first of its kind Media Fair in Bulgaria. 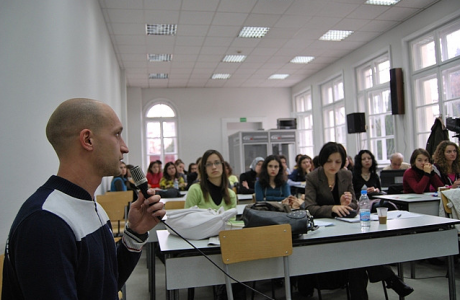 It takes place for 6 consecutive years from 2006 to 2012 in the Faculty of Journalism and Mass Communication in Sofia University “St Kliment Ohridski”. The Media Fair is organized by foundation “For new partnership in journalism” and PRoPR. The idea of the project is to meet theory and practice – two indivisible parts in the education of future journalists, PR specialists and publishers. 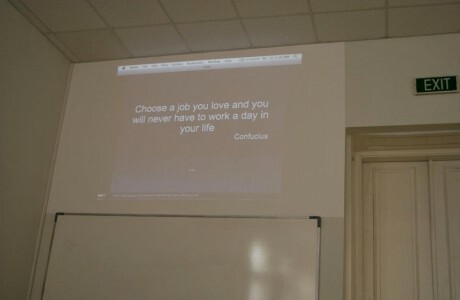 Just the way it is in modern universities in whole Europe. 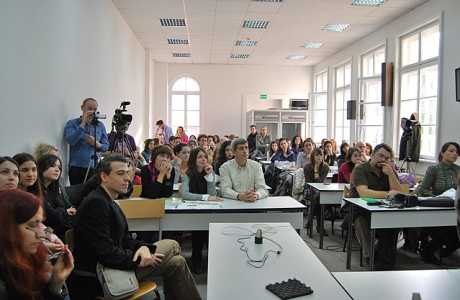 Within the Media Fair in the halls of the Faculty of Journalism, this meeting is realised in the form of discussions on current topics, media presentations, meetings with practicing journalists, lectures from pronounced experts from the communication field, media workshops, competition and scientific conference with the moto “Journalists in theory, journalists in practice”. During all these years PRoPR participates actively in the whole process of organizing and conducting the event: program preparation, choosing topics and participants in different parts of the event, communication with the guests, program moderation during the whole week of the Fair. PRoPR team is the main conceptual agent of the design and the creation of all printed and promotional materials for the event, blog support and social media communication. For PRoPR the Media Fair is more than an ordinary commitment. It is a deeply personal project and cause. 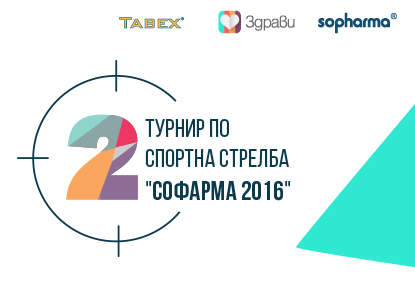 Media Fair is the first big event of PRoPR after its creation. A great part of the team joined PRoPR after the first two editions of the Fair in 2006 and 2007. We believe that education of high quality is a responsibility for all citizens and the Media Fair is one of our ways to work for better education in Bulgaria today. PRoPR Agency’s team worked together with the provisional government, intervened on 13 March 2013, and practically the majority of the team covered the responsibilities of a press office. This happened after Ivet Dobromirova was invited by the President Rosen Plevneliev to perform the function of media coordinator and speaker of the Prime Minister Marin Raikov and his government. 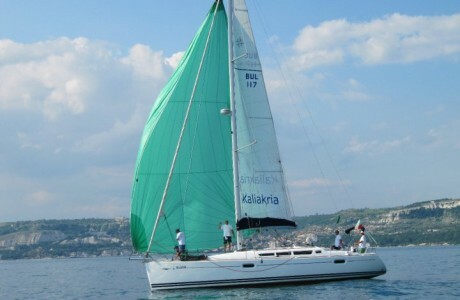 PRoPR was a partner of the Black Sea Regatta Kaliakria Cup since its first edition in 2008. 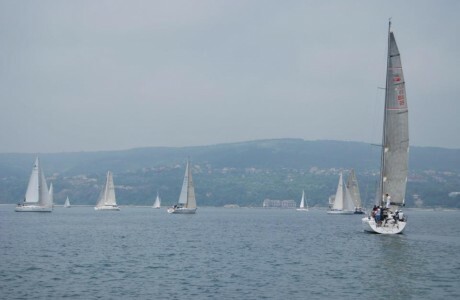 The Regatta was organized by the “Balchik” marine club and the holiday complex Kaliakria Resort, which is one of the first-class destinations at the Northern Black Sea. 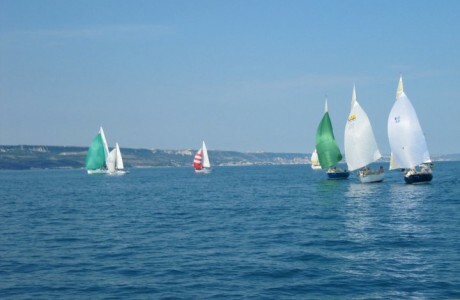 Kaliakria Cup gathers the best sailors from Bulgaria and Romania, and the international crews every year add more attractiveness to the contest. 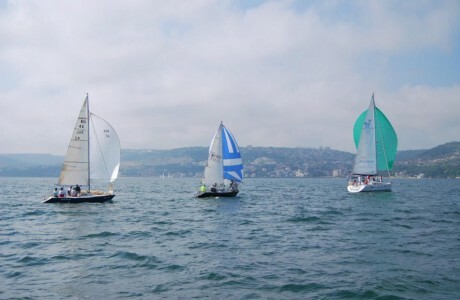 The Agency was engaged in the media coverage and each year leading sport and lifestyle journalists from the whole country attend the sailing contest. 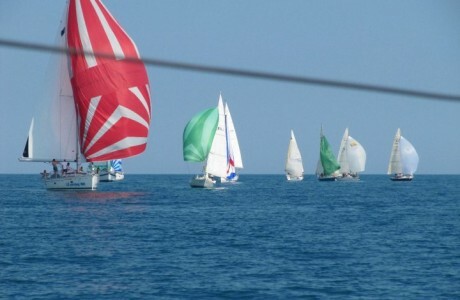 The regatta stands among the best covered sport events in Bulgaria, and the еxquisite regatta parties in Kaliakria Resort organized at the end of each contest day have a great contribution to this. Every company needs active internal communication to guarantee its stable growth and comfort of its employees in the changing environment. 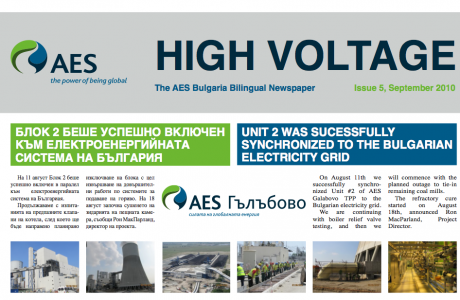 The management of TPP AES Galabovo chose PRoPR to prepare the internal newsletter of the company targeting the different audiences within the Bulgarian subsidiary of the energy titan AES. 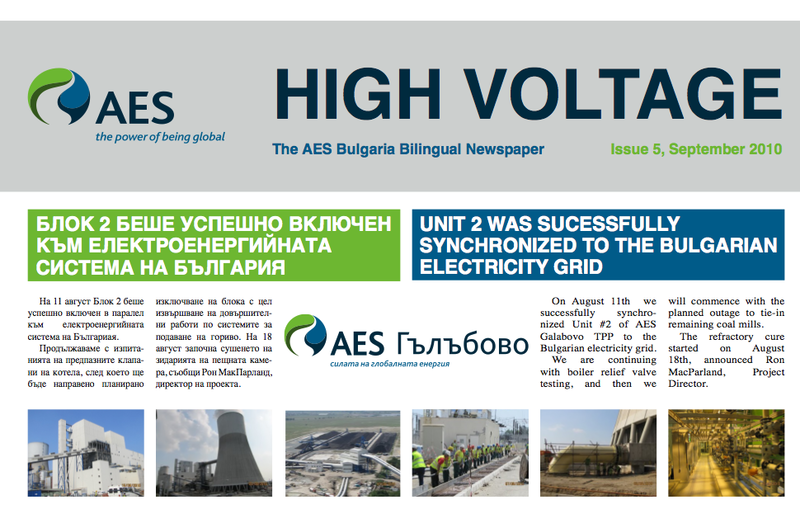 In close cooperation with the “AES Galabovo” team we carefully selected the topics for the respective headings and edited the stories to make them readable for the workers on the construction site, for the technicians and the administrative staff. One of the main advantages of the internal newsletter for the power station was the specific interactive design and the direct relation with the employees’ life – monthly family contests, announcements for personal achievements of the team members, greetings for birthdays. Our work for the AES Newsletter was one of the strongest examples of a company story being sum of the personal stories of its employees. In 2010 the company for security services VIP Security, leader in cash management services in Bulgaria, bought new armored vehicles. The deal was celebrated with an impressive vehicle march in Sofia, where 20 vehicles of the company went through the city centre. The vehicle march was captured by our subcontractors. 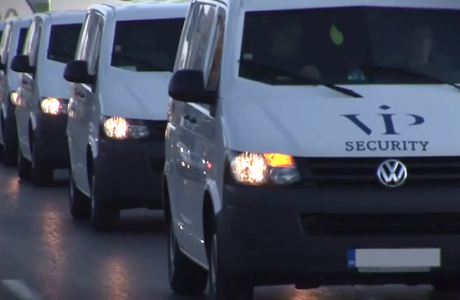 Later a corporate video for VIP Security was created. Terrestrial operators at airports are regulated by laws and regulations and the companies in Bulgaria that carry out this specific activity are subject to special licensing conditions. These operations are closely linked to security and quality of service and is of particular importance, both for the end user – each passenger, and for the client company – the airline whose aircraft should receive adequate service at each airport. In 2013 Swissport Bulgaria, part of Swissport International Group, the global leader in the field with separate offices in 38 countries on five continents, was in a situation to operate at Sofia Airport in an environment of unfair competition and unfavorable practices that continuously undermine competition and thus created an unstable business environment. Swissport had filed two complaints with the Commission for Protection of Competition (CPC) and had informed the European Commission about the situation that violated not only Bulgarian but also EU laws. 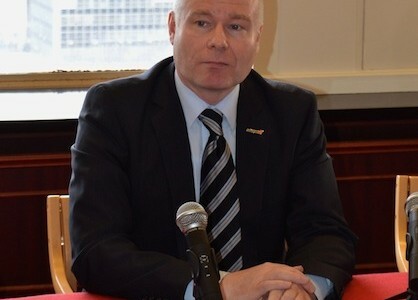 The Agency was responsible to provide full communication services for Swissport, including organizing special business breakfast with media and representatives of the company on a global level in order to fully clarify the situation and to arrange interviews on the topic in leading business media outlets. PRoPR assisted the case of Swissport to get the necessary media attention, which resulted in institutions to take appropriate measures to stop unfair business practices at the airport. On the subject were published over 30 articles and interviews in print, electronic and online media. 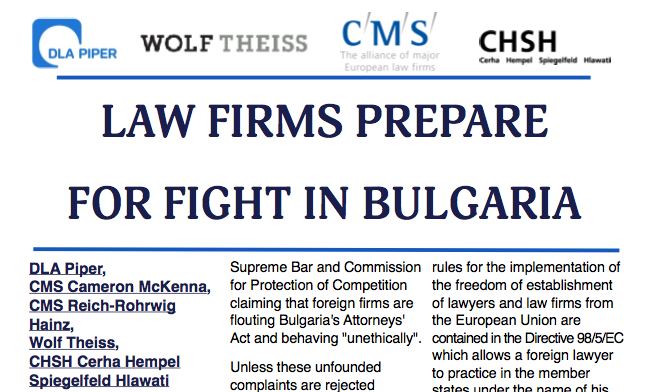 PRoPR was engaged by the five leading foreign law firms in Bulgaria (DLA Piper, CMS Cameron McKenna, CMS Reich-Rohrwig Hainz, Wolf Theiss, CHSH Cerha Hempel Spiegelfeld Hlawati) in connection with the attack against them from all big Bulgarian law firms. 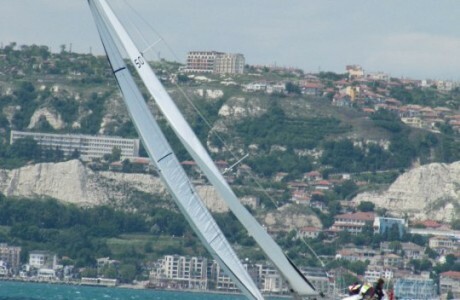 They filed a case in the Competition Protection Commission alleging that their foreign colleagues infringe the Bulgarian legislation. 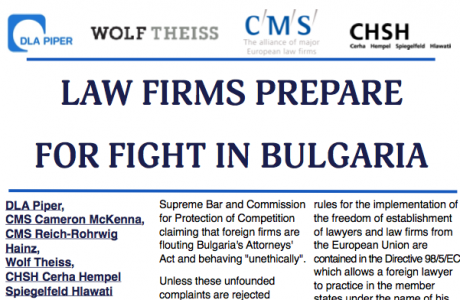 The foreign lawyers in their turn defended the position that the Bulgarian legislation is in conflict with the European law. 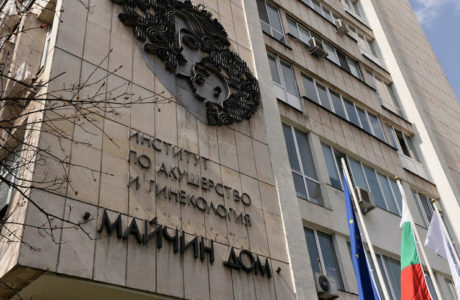 During the first month, due to PRoPR involvement, the case was in the both leading business media Dnevnik Daily and Capital Weekly and both newspapers defended the points raised by the foreign lawyers. In Dnevnik Daily the story was published on the first page. 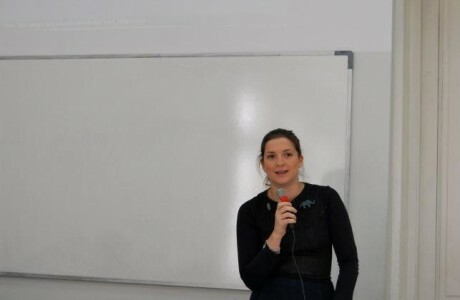 The legal affairs reporter of the newspaper also had a commentary where she pointed that the Bulgarian legislation must be harmonized with the European. Despite the fact that the case development in the country’s highest courts was mostly against the foreign lawyers they are known from the wide audience as “the good side”. This is extremely important because the case was in the European Commission which had started an infringement procedure against Bulgaria. 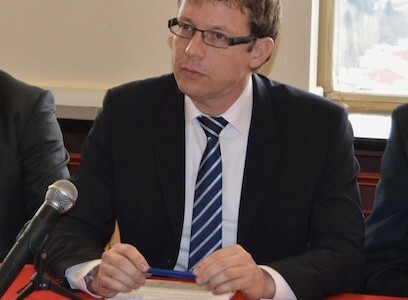 Despite the sensibility of Bulgarians towards Europe and the widely-spread opinion that “there they penalize us rightly or not” the evaluation of this case within the wider public opinion is that the foreign lawyers are affected by lobbying retrograde powers, which are harmful for this country and its European path. 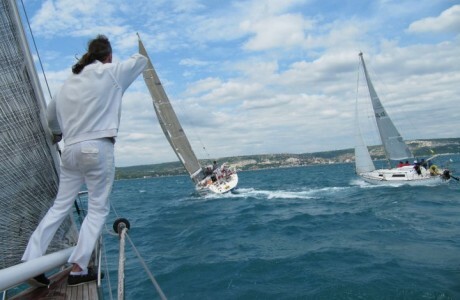 The Bulgarian Law was changed in favour of foreign law firms. Ivet, think you did a great job and we got the coverage we needed in BG. 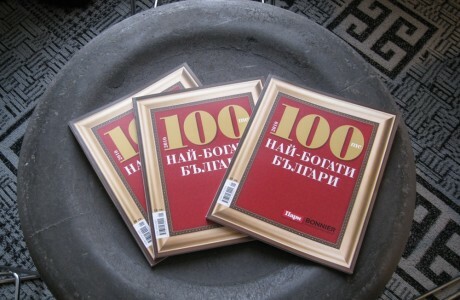 PRoPR was mandated by Pari newspaper to create media strategy in relation to the popularisation of the list of the newspaper “The 100 richest Bulgarians”. One of the biggest challenges for the team of PRoPR in relation to the presentation of the list “The 100 richest Bulgarians” of Pari newspaper was the extremely short final term in which the company needed to react. 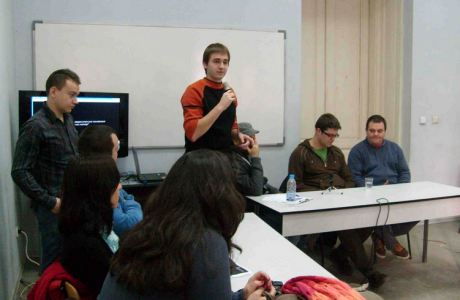 PRoPR was invited as a partner in the event on the 19 November 2010. The initial term for the publication of the magazine was 2 December 2010, however then it was prolonged until the 7 December 2010. Practically the team of the agency had 11 days in order to create and implement a campaign, which should popularise the issue. There were other challenges, more specifically these three. To inform the media of the ranking, whithout giving the names of the first individuals in the list, in order to keep the interest for the soon to be published magazine. And last but not least – the challenge to present the ranking as the most serious and truthful one in the Bulgarian media. 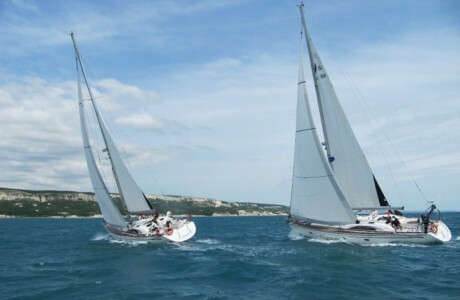 And this should have been achieved against the background of the Forbes magazine, which only several weeks before that presented its first Bulgarian issue including its own famous rich-list of the richest people in Bulgaria. The result is more than 149 publications and media events. The magazine containing the rich-list was very sought-after since the day of its issue and at many places it was sold out on the very day of its issuing. Even the distributors were not prepared for the great interest for the magazine. 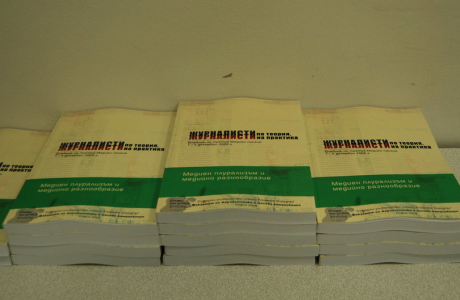 The list of Pari newspaper gained legitimacy of the only rich-list in Bulgaria. Without even mentioning the name of the newspaper, at the mere mentioning of the RICH-LIST, all are reminded of this particular one and nobody remembers the Forbes one. 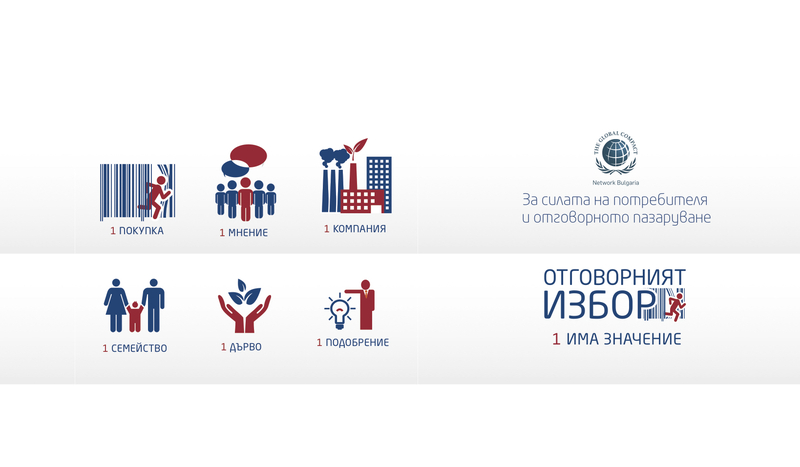 PRoPR took the challenge to help DANONE Bulgaria in their overall concept’s revision for public communication. One of the basic aims was to adequately counter the myths and disinformation about milk, which damage the reputation of DANONE and its products in the last years. 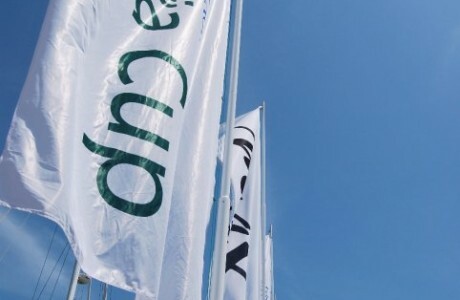 In the course of one year the agency developed a new strategy for the overall positioning of DANONE and its leadership in the production of dairy products from one side, and detailed work with each of the brands in sync with their specific needs, on the other. The agency was part of the successful start of the new product lines, as well. 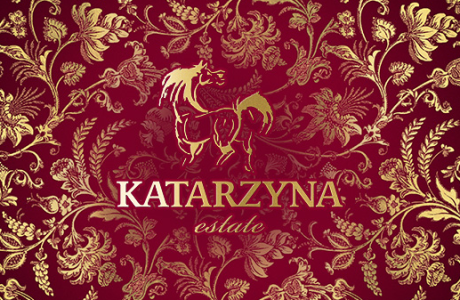 The wine marketing was “exotic animal” at the moment when PRoPR started working with the largest wine producer in Bulgaria Katarzyna. They had a clear strategy for their business expansion and the only thing needed is additional support in terms of the way they were presented in the public domain. The agency found the right solutions working till today and created lasting partnerships with leading media, who are influential in the formation of opinion in Bulgaria. Most of all PR means joint process, based on mutual trust, perception and partnership. Here you can have a look in several projects that we have realised for our clients during the years.